There are four World War II Museums in Kanchanaburi, Thailand. 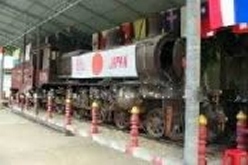 They are the Japan, England, Australia, America, Thailand and Holland (JEATH) Museum, The World War II Museum, Thailand-Burma Railway Centre and Hellfire Pass Memorial Museum. Is one of four museums in Kanchanaburi about the Death Railway built from 1942 to 1943 by Allied POWs under the direction of the Japanese. 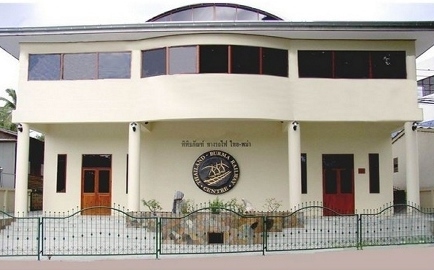 The museum was built in 1977 by the chief abbot of Wat Chai Chumpol Venerable Phra Theppanyasuthee. It is located on the grounds of a Temple at the junction of the Khwae Yai and Khwae Noi rivers in Kanchanaburi. The acronym JEATH stands for the soldiers of Japan, England, Australia, America, Thailand and Holland all of whom help build the infamous Death Railway. The bamboo structure resembles the huts the POWs were forced to live in during their internment and contains photographic, pictorial and physical memorabilia. The museum is co-sponsored by the Thai and Australian governments at the site to commemorate the suffering of those involved in the construction of the railway. As a part of the museum experience, it is possible to walk through the cutting itself and along a section of the former railway track bed. An audio tour including recorded memories of surviving POWs is available at the museum. The Konyu cutting was a particularly difficult section of the line to build due to it being the largest rock cutting on the railway, coupled with its general remoteness and the lack of proper construction tools during building. A tunnel would have been possible to build instead of a cutting, but this could only be constructed at the two ends at any one time, whereas the cutting could be constructed at all points simultaneously despite the excess effort required by the POWs.